Christine Clinton | Wellness for Life! Christine Clinton has been involved in the Health and Wellness sector for over 28 years. 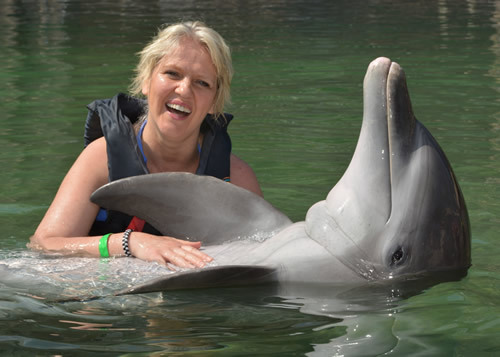 Christine started in Dublin, Ireland, with a Diploma in Health and Exercise studies and went on to become Qualified in Therapeutic Massage, Skincare, Aromatherapy, Reflexology , Reiki, Lymphatic Drainage, Energy Medicine and The PECO program. She received certification in Medical Massage for cancer patients from Memorial-Sloan Kettering and Clinical training in Mind Body Medicine at Harvard Medical School. Christine was an International Examiner for a UK awarding body for over 10 years and has taught in many countries around the globe. She chairs the Wellness For Children Initiative through the Global Wellness Institute and is a facilitator for UN & WHO program WHIS.